RPM Slash 2WD Front Bumper & Skid Plate, Back Discounts Apply ! Free Shipping over $99 on All Products Except, All Tamiya RC Tanks, All RC Trucks and Buggies, All 1/16 Model Kits, Futaba Radios, Batteries, Paints, Glues, Oils - Web Orders Only. 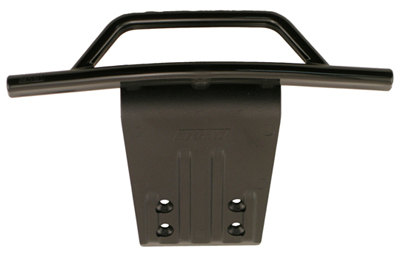 RPM80952 - RPM Slash 2WD Front Bumper & Skid Plate, Back. They�re here! An all-new bumper design for the Traxxas Slash 2wd (the only molded bumper made in the USA)! Our two-piece design is simple, yet strong, effective and highly attractive. We made it a two-piece design to give the Slash owner the option of full front-end bash-proof and crash-proof protection with both the skid plate and bumper installed or if a racing profile is wanted, the front bumper can be removed and the skid plate by itself can be run as a light-weight alternative bumper / skid plate that shreds 27 grams (almost a full ounce) of weight from the front end of the truck. Once the race is over, reinstall the bumper and full bash protection is once again available!